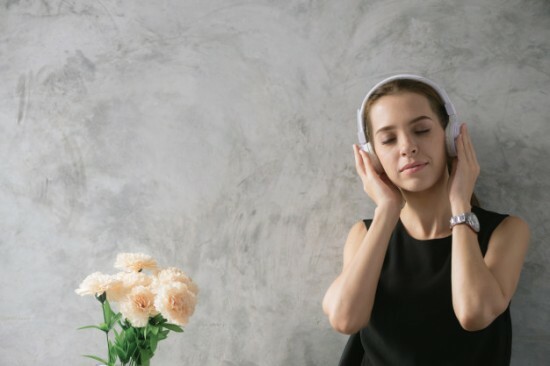 Numerous studies show that listening to music enhances mood, boosts immune response, and improves memory and concentration. But what about being listened to? Active listening is described as fully listening and observing the speaker’s behavior and body language, and then relaying this information back to the speaker in such a way that a sense of shared meaning is arrived at. When experiencing a sense of shared meaning, not only is there often a synchronization of the emotional experience, but also an enhanced feeling of understanding – something that is frequently lost during conflict. In one study, it was the shared experience of gratitude that led to couples reporting that their relationships became stronger, more adaptable to change, and more positive than couples who had not shared experiences of gratitude (Kurtz & Algoe, 2015). Another study done by researchers at the University of Chicago found that sharing the experience of watching a film together led to an emotional synchrony that increased the enjoyment of the experience (Ramanathan & McGil, 2017). Sharing experiences profoundly improves our understanding of one another, and our enjoyment of the experience. But achieving this state requires that each person feels listened to, heard, and understood. It is the art of active listening. In a therapeutic setting, active listening is an indispensable skill, without which clients can feel misunderstood, not validated, and not important. Moreover, accurate clinical diagnosis relies on fully understanding the client’s reality. When the word “active” is added to “listening” it alters and amplifies the communication process to include a dynamic feedback loop in which the speaker and the listener validate that each party has been accurately heard. The result is that clients feel important, motivated and unsurprisingly, their self-esteem increases. For the clinician, the benefits of active listening are no less important. Using active listening skills, clinicians become more confident and manage their therapy and counseling sessions with a broader and mutually respectful dialogue – and are much more likely to fully understand and synchronize with their clients. 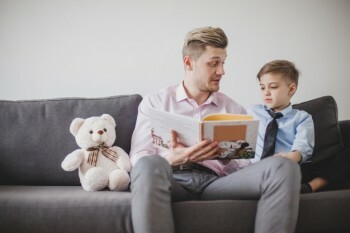 Active Listening: Techniques that Work for Children and Parents is a 3-hour online continuing education (CE/CEU) course that offers a valuable compilation of practical and ready-to-use strategies and techniques for achieving more effective communication through active listening. One of the fundamental tools of clinicians who work effectively with children and adolescents is the art of listening. Without this set of skills, clinicians are likely to miss essential pieces of information their clients are trying to communicate to them, whether with words or with behavior. When the word “active” is added to “listening” it alters and amplifies the communication process to include a dynamic feedback loop in which the speaker and the listener validate that each party has been accurately heard. 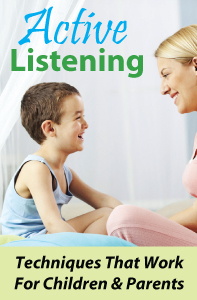 One of the fundamental tools of clinicians who work effectively with children and adolescents in the areas of speech-language pathology, occupational therapy, and counseling is the art of listening. Without this set of skills, clinicians are likely to miss essential pieces of information their clients are trying to communicate to them, whether with words or with behavior. When the word “active” is added to “listening” it alters and amplifies the communication process to include a dynamic feedback loop in which the speaker and the listener validate that each party has been accurately heard. Many clinicians, like Speech-Language Pathologists (SLPs), are trained to help their young clients improve their communication abilities; other clinicians, such as physical therapists and occupational therapists, assist clients with their activities of daily living. Many times children who are having difficulties in various functional areas are also experiencing negative reactions to their developmental, physical and communication challenges. If they do not see themselves as successful in school and with peers, they can begin to perceive themselves negatively and – worse – start to expect failure. Clinicians need skills to help their clients overcome these damaging reactions and help them think positively about their ability to make changes in their lives. 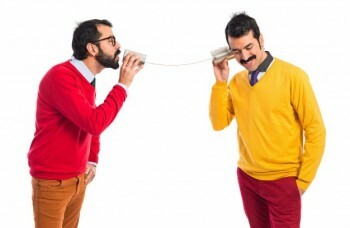 Active listening is a communication technique that is used in counseling, conflict resolution and training, as well as in many other everyday situations. The listener is required to repeat what they hear the speaker say by re-stating directly or paraphrasing. This way, both the speaker and the listener know that their words have been heard and understood by the other, confirming understanding by both parties. Body Language: This is key to letting your client know that you are interested in what they have to say. Listen with full attention, eye contact and body language. One can turn to face the child and get down to his eye level. A gentle touch on the shoulder might be helpful. Leaning forward, smiling and nodding all indicate interest. This shows the child that you care and that his problem requires your full attention. Adults also respond to this. Open posture, gentle voice, friendly facial expression, nodding and tilting of the head to the side are some more ways to indicate interest. Paraphrasing: This assures the client that you have accurately heard them and allows them to hear, in turn, how someone else perceives them. It is viewed as an empathetic response to their communication, and allows clients to feel heard so they can then expand on their experiences and feelings, giving valuable information to the clinician. Professional Development Resources is approved to sponsor continuing education (CE) by the American Psychological Association (APA); the National Board of Certified Counselors (NBCC ACEP #5590); the Association of Social Work Boards (ASWB Provider #1046, ACE Program); the American Occupational Therapy Association (AOTA Provider #3159); the American Speech-Language-Hearing Association (ASHA Provider #AAUM); the Commission on Dietetic Registration (CDR Provider #PR001); the Alabama State Board of Occupational Therapy; the Florida Boards of Social Work, Mental Health Counseling and Marriage and Family Therapy (#BAP346), Psychology & School Psychology (#50-1635), Dietetics & Nutrition (#50-1635), Speech-Language Pathology and Audiology, and Occupational Therapy Practice (#34); the Ohio Counselor, Social Worker & MFT Board (#RCST100501) and the Board of Speech-Language Pathology and Audiology; the South Carolina Board of Professional Counselors & MFTs (#193); and the Texas Board of Examiners of Marriage & Family Therapists (#114) and State Board of Social Worker Examiners (#5678). The listener conveys nonverbal involvement immediacy through the provision of unconditional attention. The listener paraphrases both the content and the feelings in the speaker’s message in an effort to demonstrate awareness of the speaker’s intent. The listener asks questions to encourage the speaker to provide additional information on his or her feelings or beliefs. Additionally, active listening helps clients open up, avoid misunderstandings, resolve conflicts, build trust, increase satisfaction, improve cross-cultural communication, and deal with the negative feelings brought about by their communication disorders. Professional Development Resources is approved by the American Psychological Association (APA) to sponsor continuing education for psychologists; by the National Board of Certified Counselors (NBCC ACEP #5590); the Association of Social Work Boards (ASWB Provider #1046, ACE Program); the American Occupational Therapy Association (AOTA Provider #3159); the American Speech-Language-Hearing Association (ASHA Provider #AAUM); the Commission on Dietetic Registration (CDR Provider #PR001); the Alabama State Board of Occupational Therapy; the Florida Boards of Social Work, Mental Health Counseling and Marriage and Family Therapy (#BAP346), Psychology & School Psychology (#50-1635), Dietetics & Nutrition (#50-1635), Speech-Language Pathology and Audiology, and Occupational Therapy Practice (#34); the Ohio Counselor, Social Worker & MFT Board (#RCST100501) and the Board of Speech-Language Pathology and Audiology; the South Carolina Board of Professional Counselors & MFTs (#193); and the Texas Board of Examiners of Marriage & Family Therapists (#114) and State Board of Social Worker Examiners (#5678).